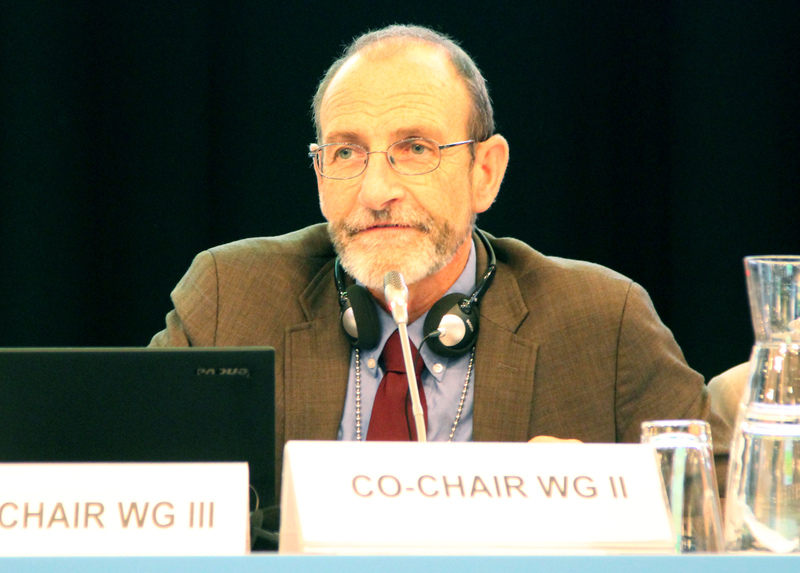 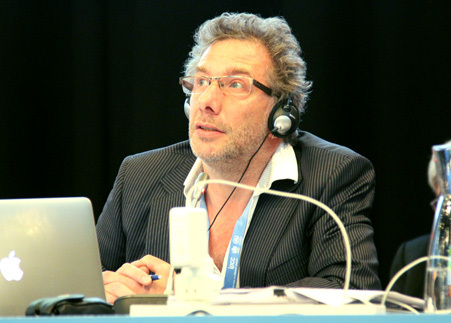 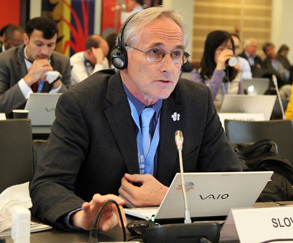 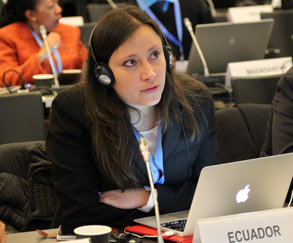 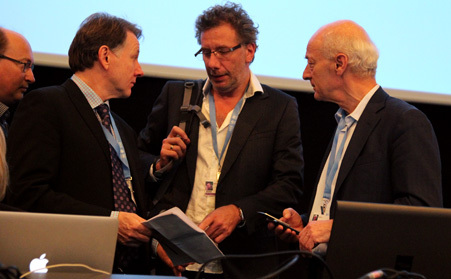 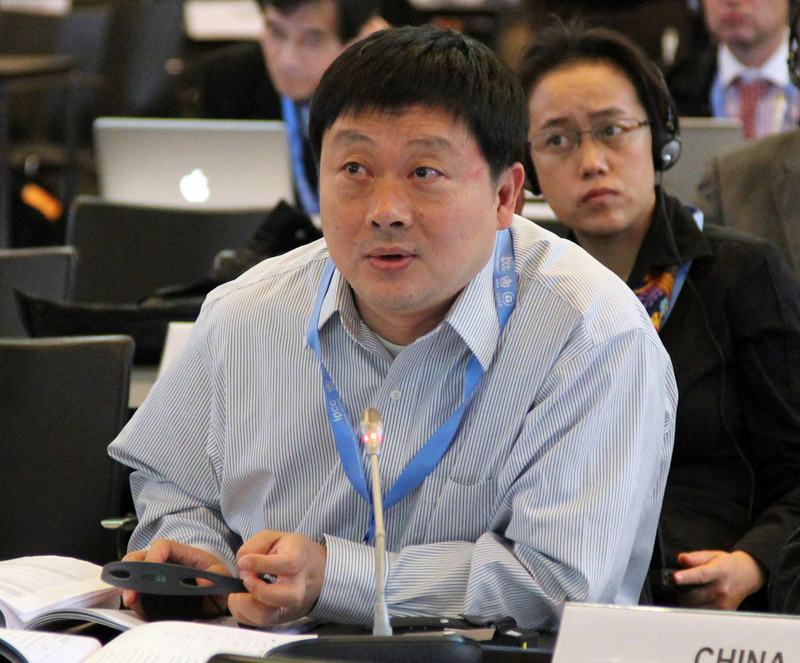 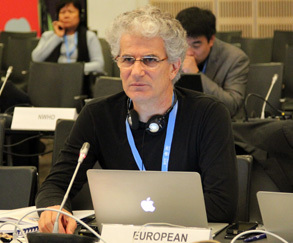 IISD RS has produced daily web coverage, a curtan raiser, and a summary and analysis of IPCC-40. 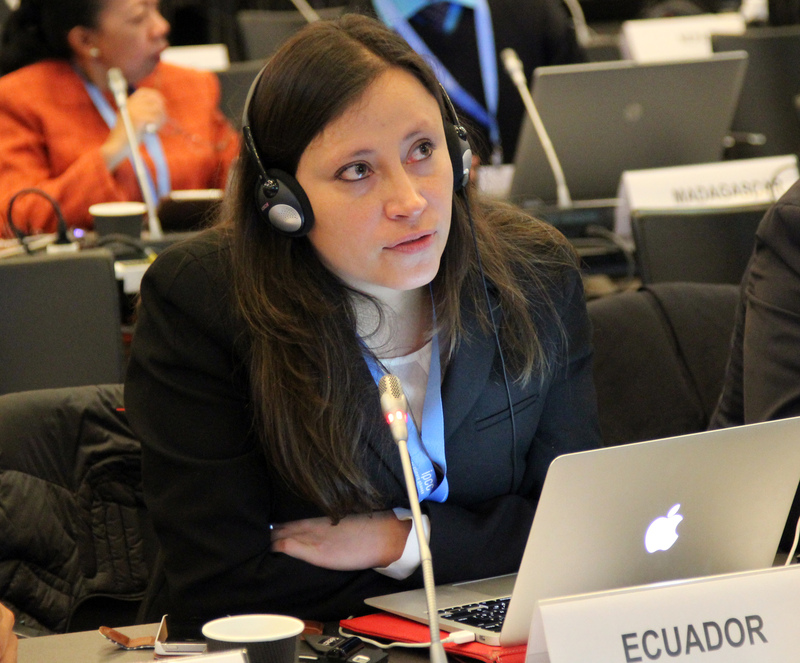 In order to download our reports, click the HTML or PDF icons below. 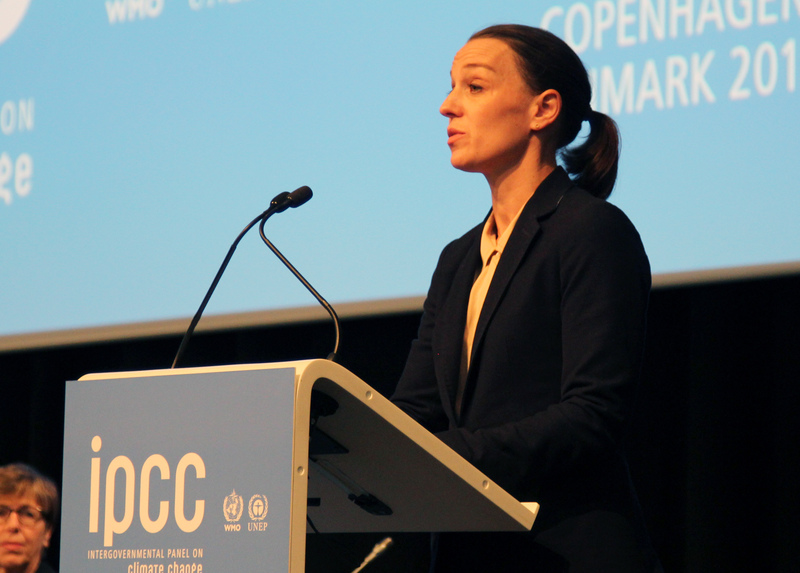 On Sunday, 2 November, a press conference was held at the Tivoli Conference Center in Copenhagen, Denmark, to release the Synthesis Report (SYR) of the Intergovernmental Panel on Climate Change (IPCC) Fifth Assessment Report (AR5). 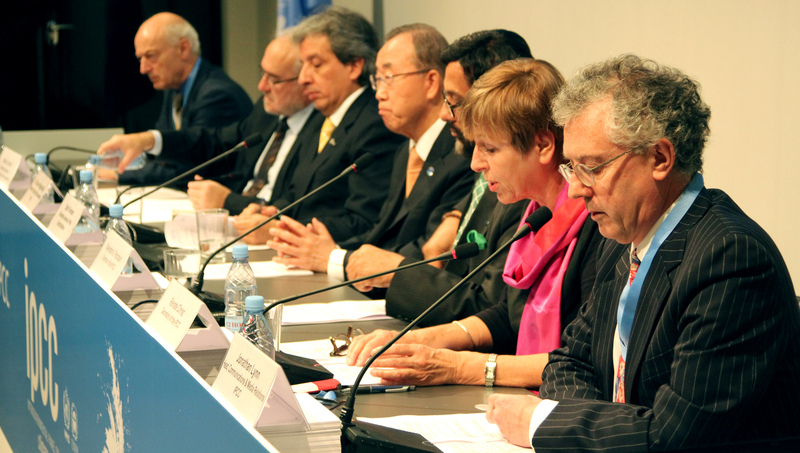 Press conference panelists included: UN Secretary-General Ban Ki-moon; Manuel Pulgar-Vidal, Peruvian Minister of Environment, and Incoming President of the UNFCCC Conference of the Parties (COP); Michel Jarraud, Secretary-General, World Meteorological Organization; IPCC Chair Rajendra Pachauri; Leo Meyer, Head of the IPCC SYR Technical Support Unit; and Renate Christ, IPCC Secretary. 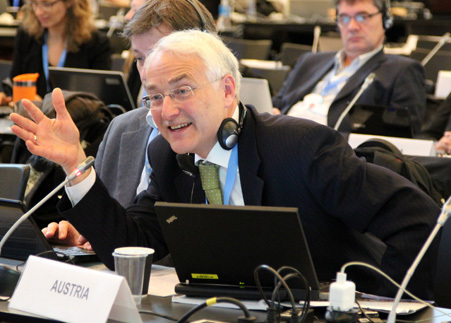 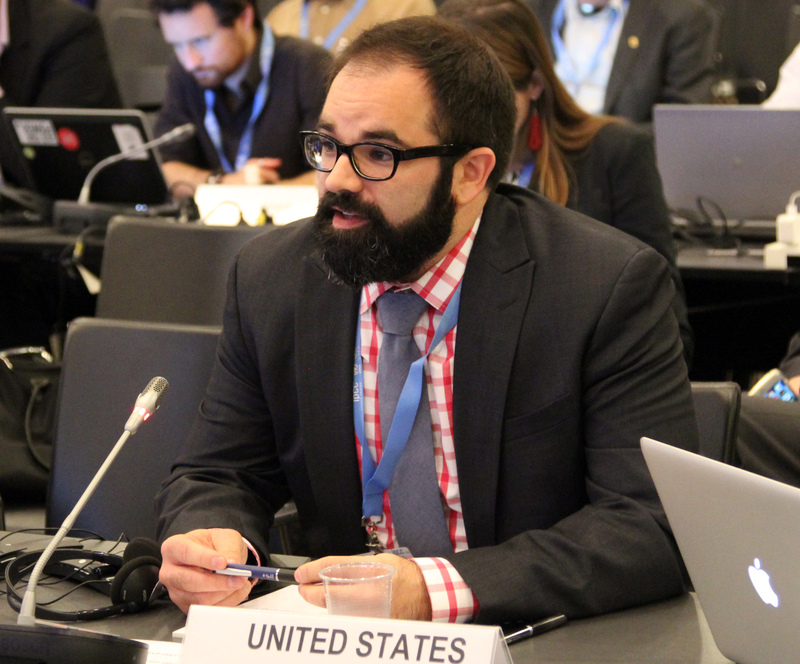 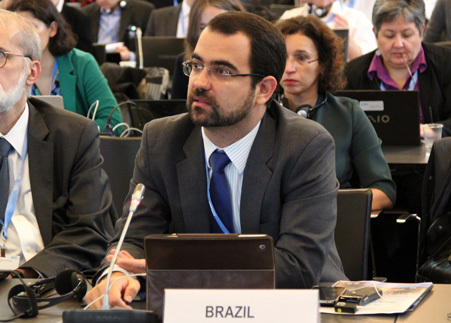 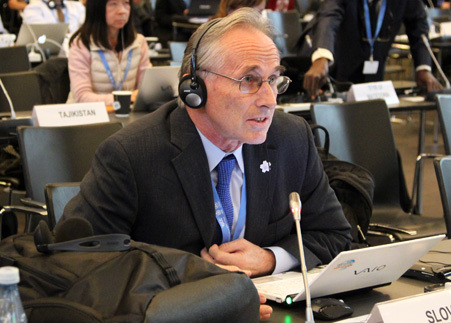 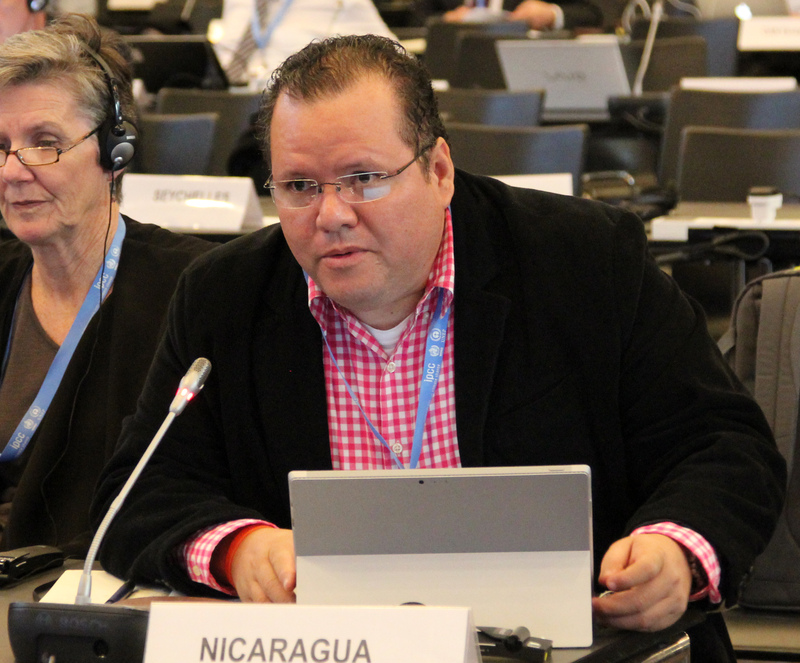 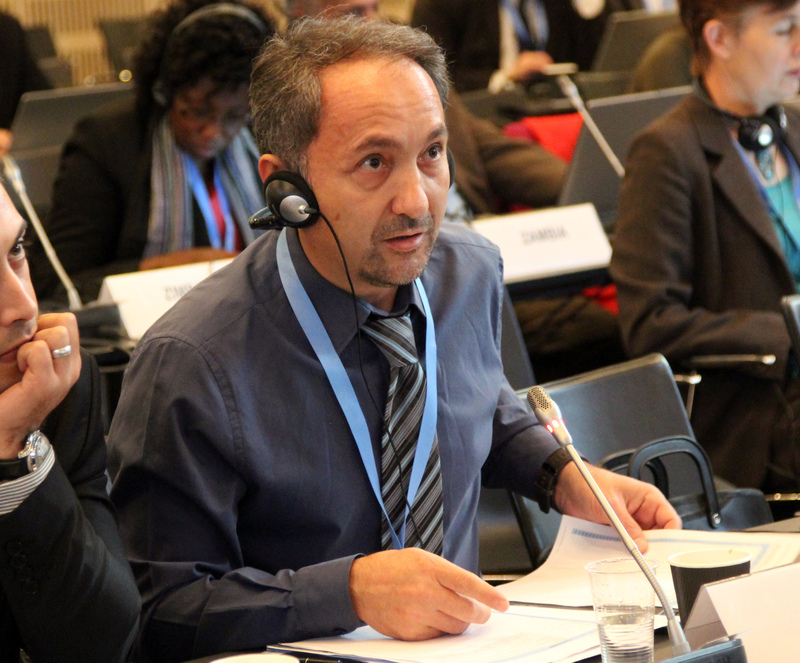 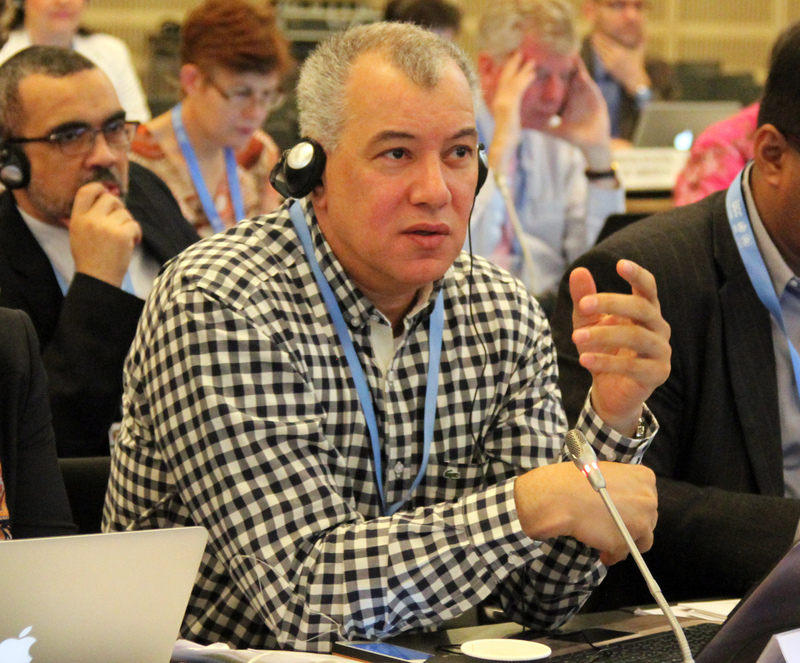 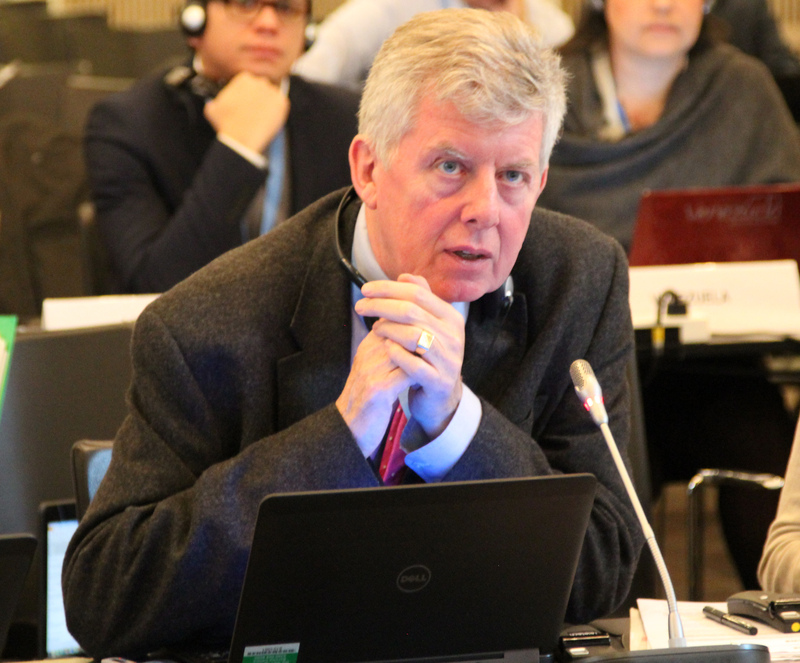 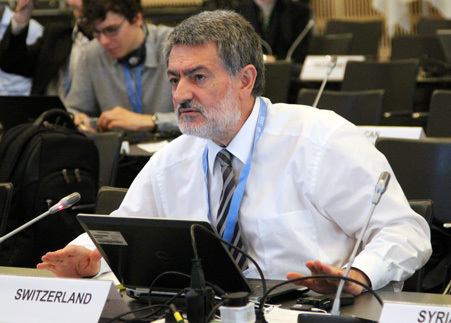 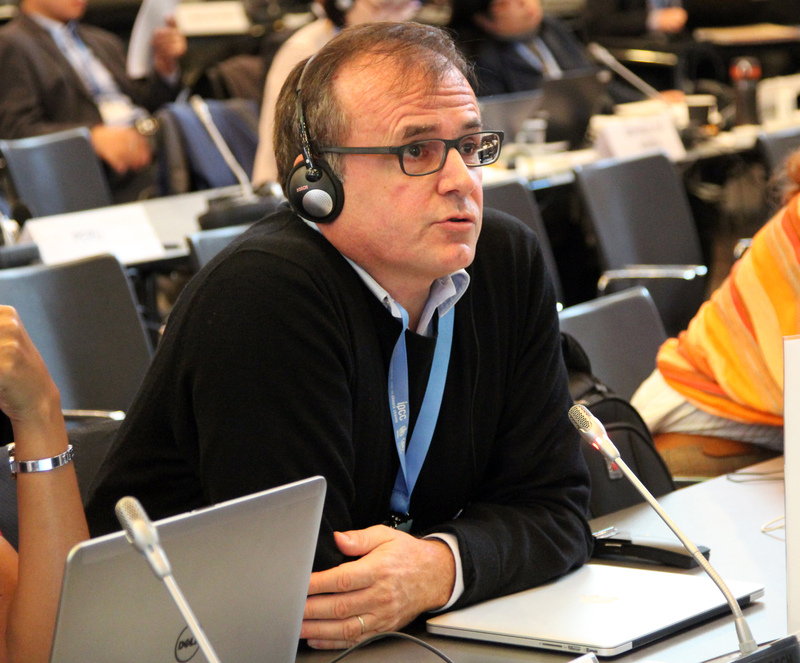 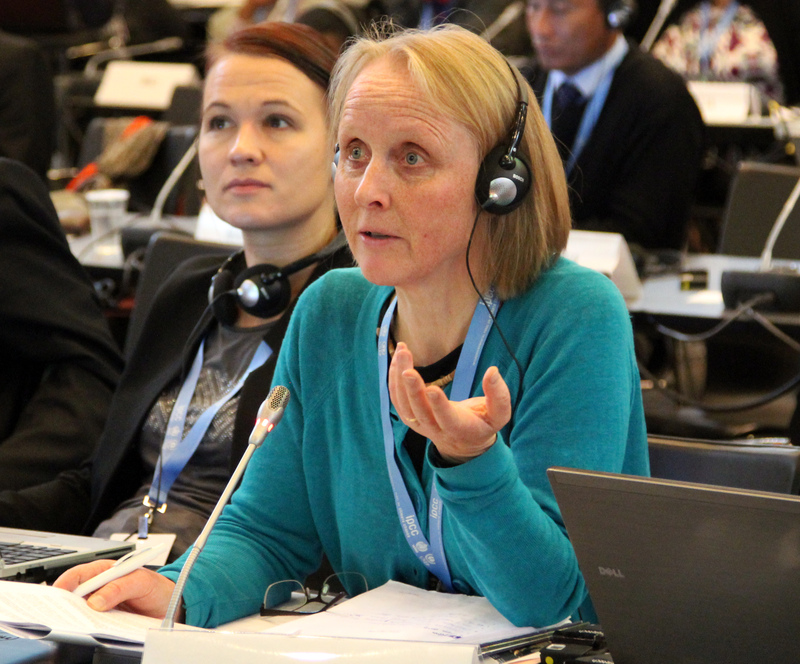 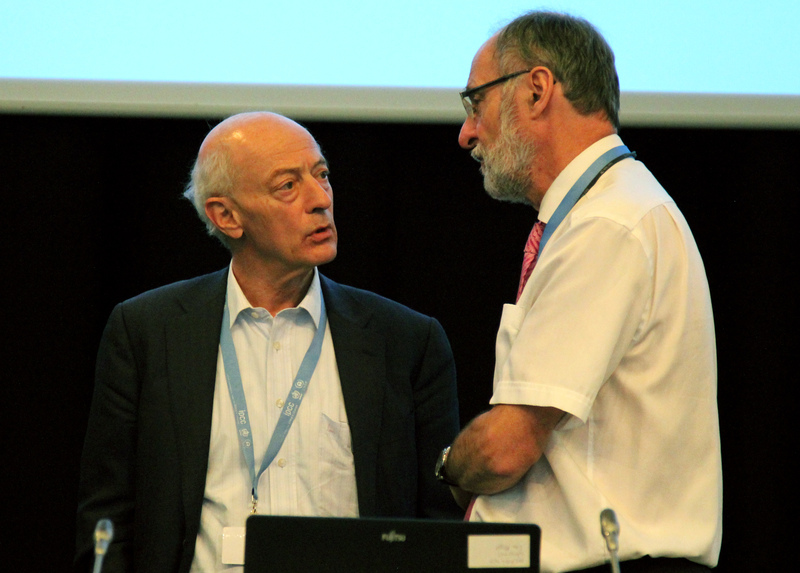 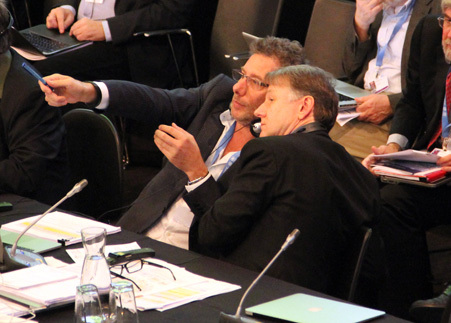 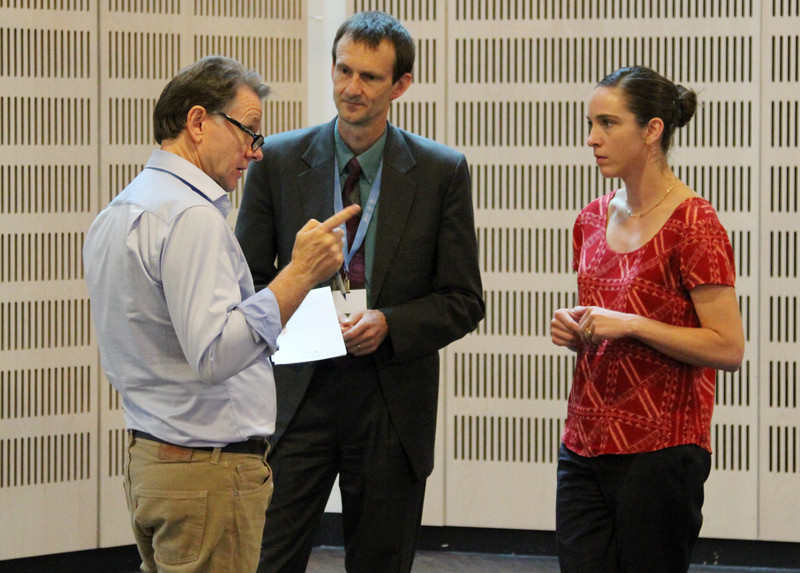 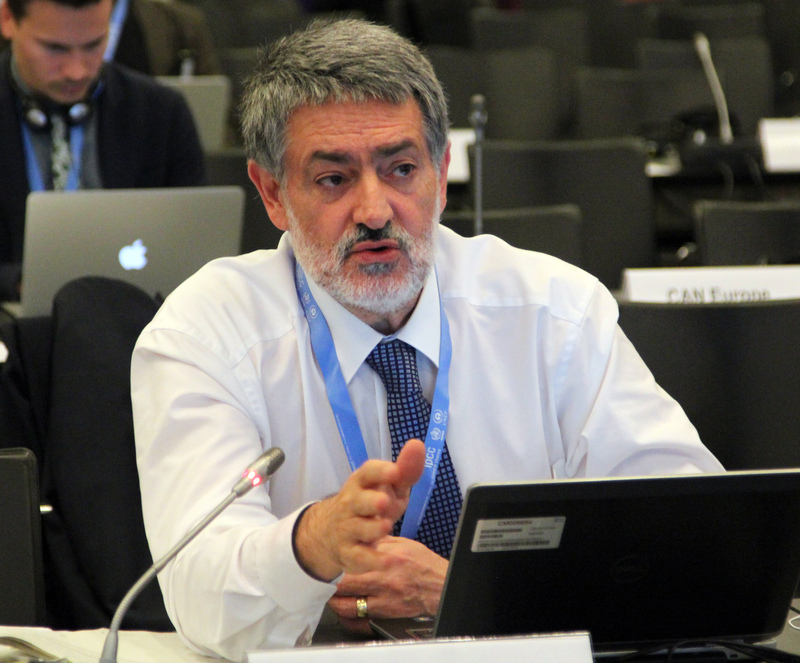 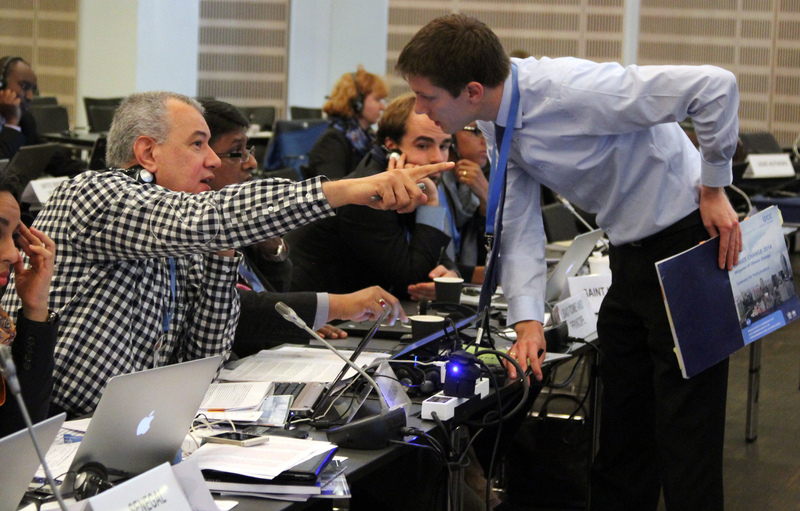 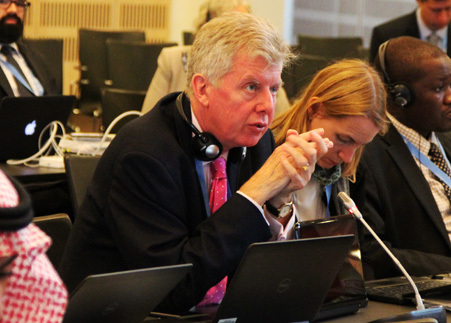 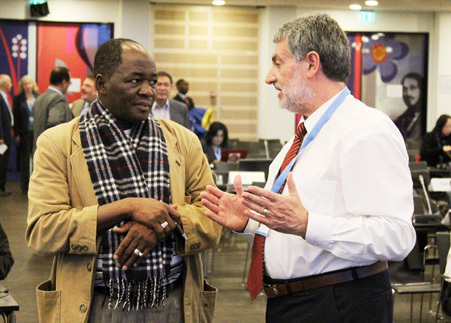 On Saturday, the 40th session of the Intergovernmental Panel on Climate Change (IPCC-40) continued to meet in Copenhagen, Denmark, to consider and finalize the Synthesis Report (SYR), which integrates the findings from the three Working Group reports. 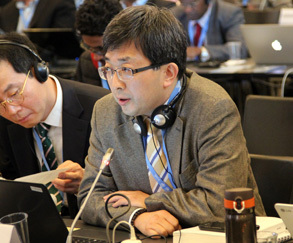 These reports together comprise the IPCC's Fifth Assessment Report (AR5). 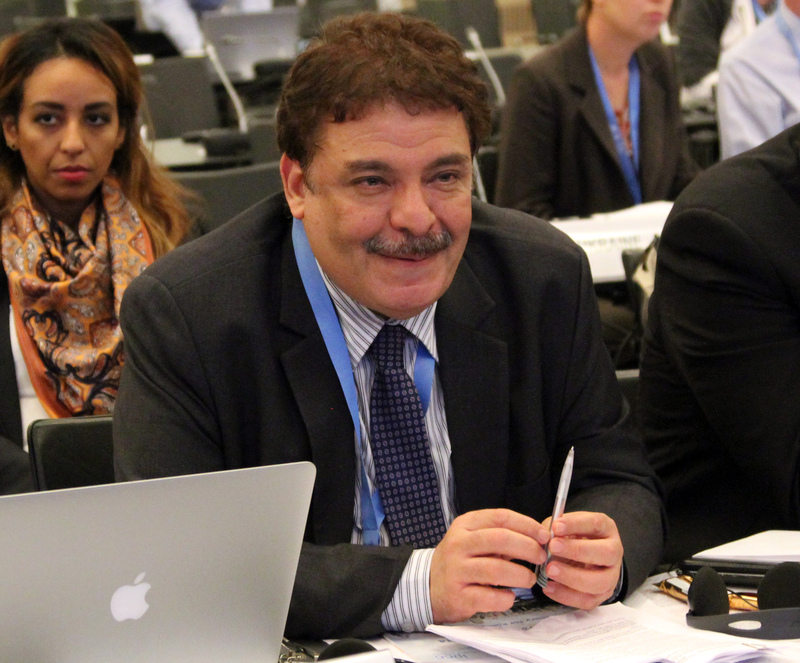 The Panel adopted the SYR, approved its Summary for Policymakers (SPM) and completed work on its agenda. 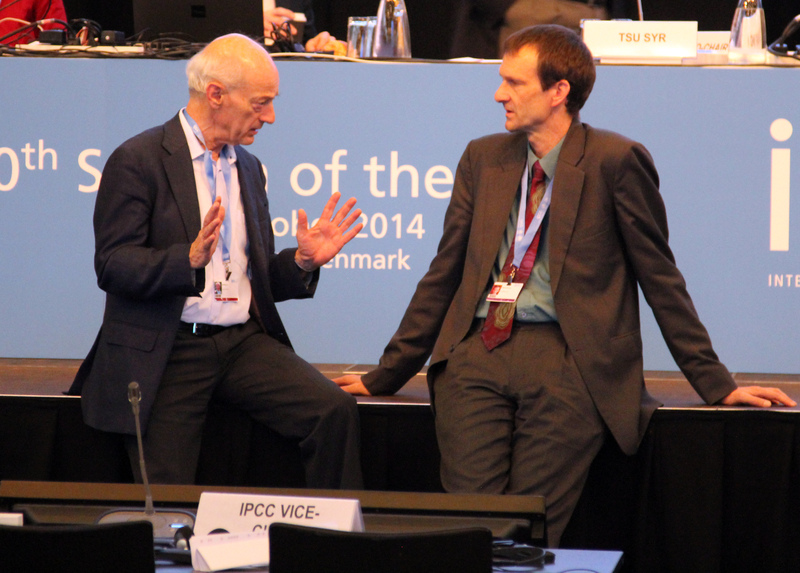 IPCC-40 was gavelled to a close at 4:40 pm. 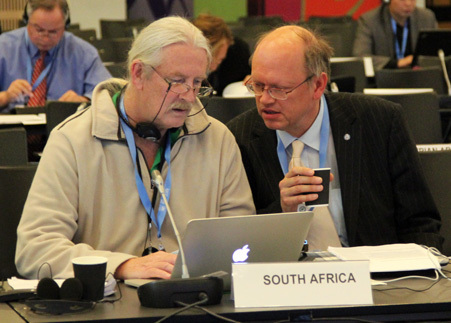 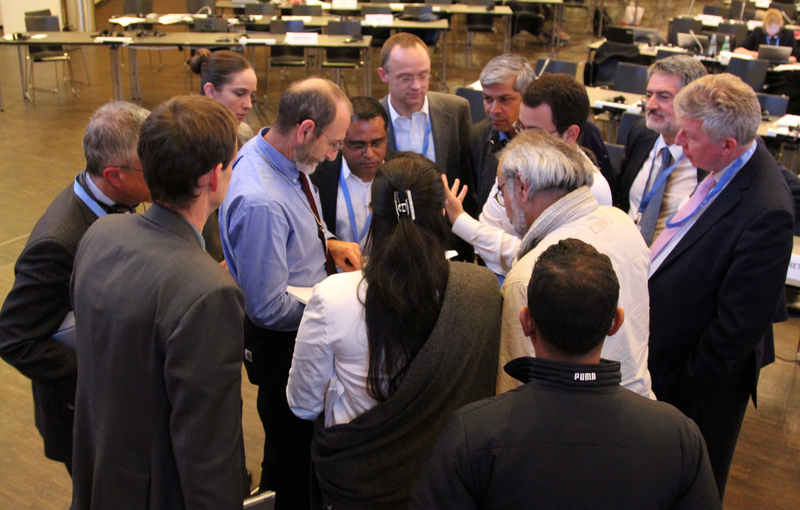 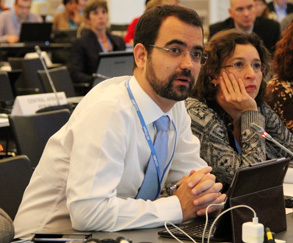 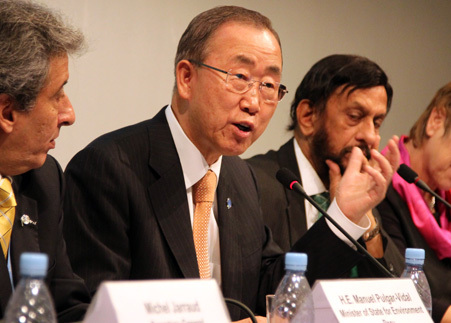 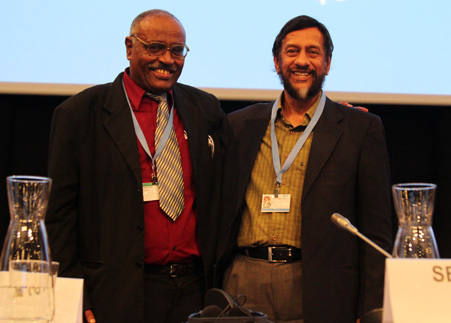 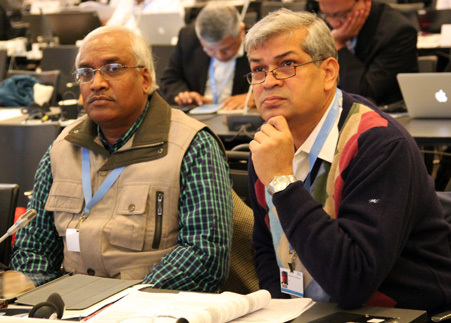 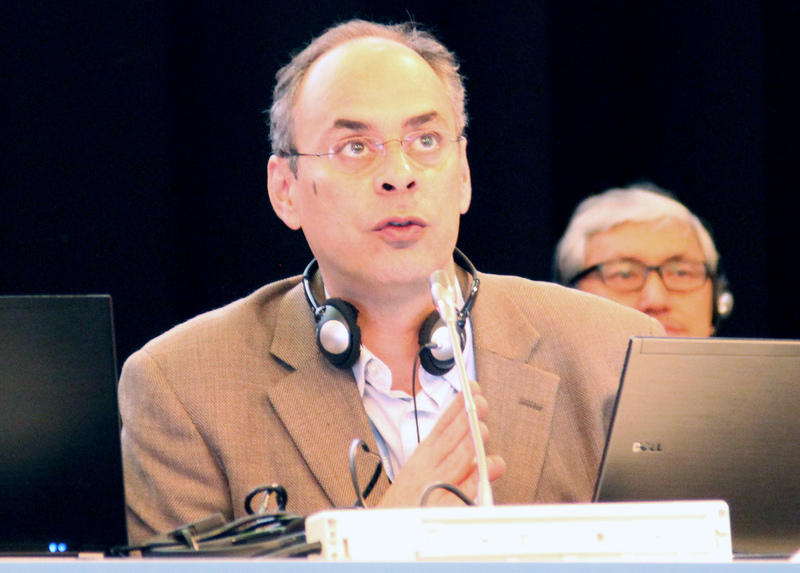 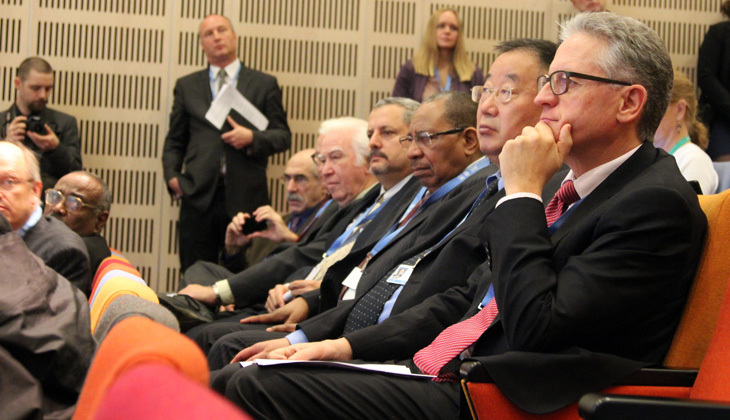 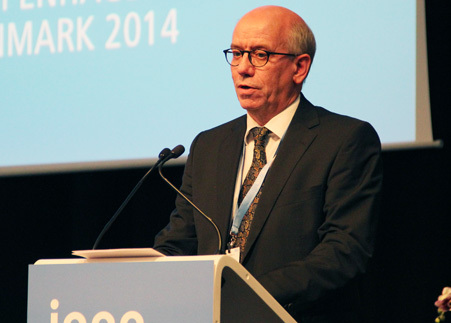 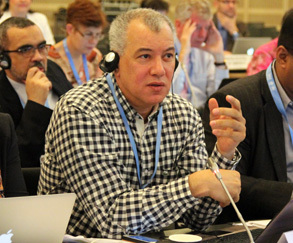 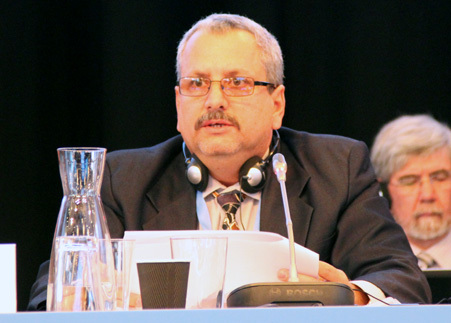 IPCC-41 will meet from 24-27 February 2015 in Nairobi, Kenya. On Friday, the 40th session of the Intergovernmental Panel on Climate Change (IPCC-40) continued to meet throughout the day and evening in Copenhagen, Denmark, to consider and finalize the Synthesis Report (SYR), which integrates the findings from the three Working Group reports. These reports together comprise the IPCC's Fifth Assessment Report (AR5). 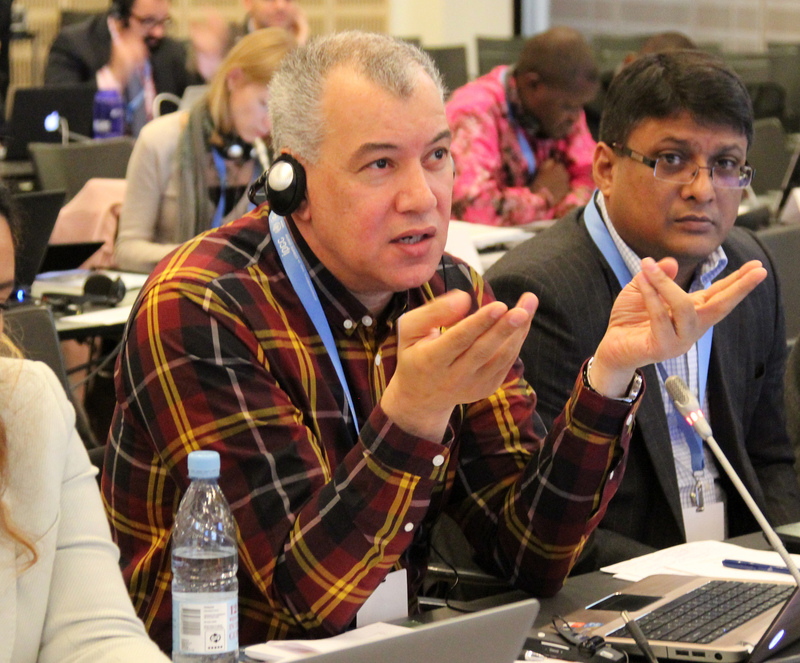 The Panel continued its work on the Summary for Policymakers (SPM), reviewing it line by line, and the longer SYR, section by section. 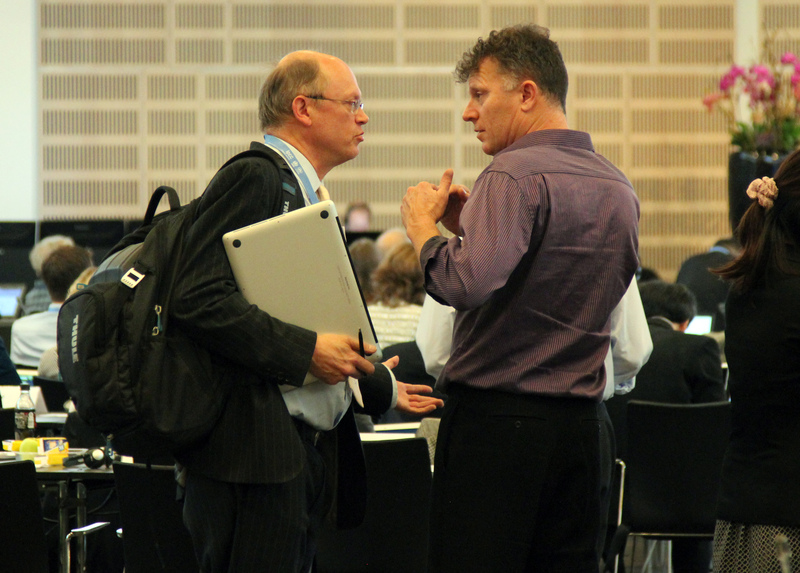 On Thursday, the 40th session of the Intergovernmental Panel on Climate Change (IPCC-40) continued to meet throughout the day and evening in Copenhagen, Denmark, to consider and finalize the Synthesis Report (SYR), which integrates the findings from the three Working Group reports that together comprise the IPCC's Fifth Assessment Report (AR5). 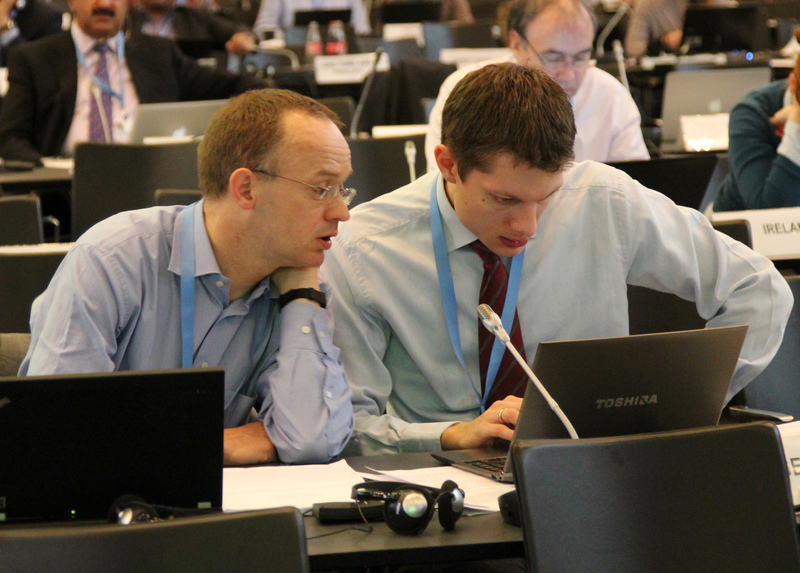 The Panel continued its work on the Summary for Policymakers (SPM), reviewing it line by line. On Wednesday, the 40th session of the Intergovernmental Panel on Climate Change (IPCC-40) continued to meet throughout the day and evening in Copenhagen, Denmark, to consider and finalize the Synthesis Report (SYR), which integrates the findings from the three Working Group reports that together comprise the IPCC's Fifth Assessment Report (AR5). 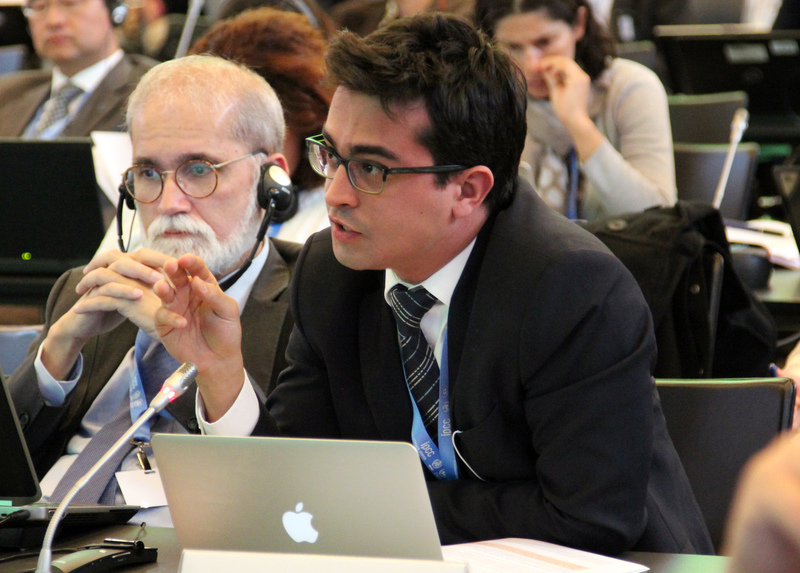 The Panel continued its work on the Summary for Policymakers (SPM), reviewing it line by line. 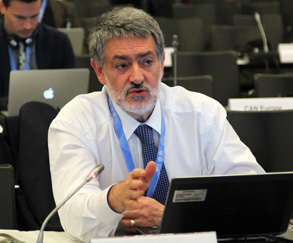 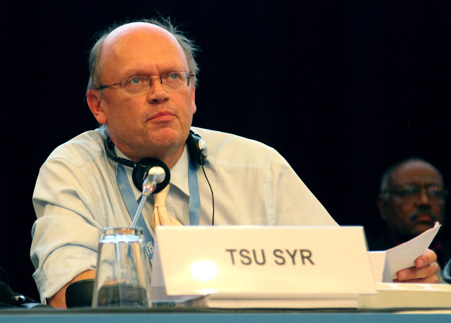 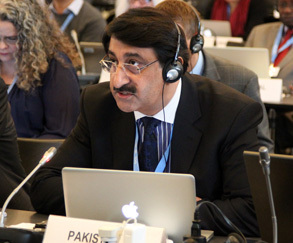 On Tuesday, the 40th session of the Intergovernmental Panel on Climate Change (IPCC-40) continued to meet throughout the day and evening in Copenhagen, Denmark, to consider and finalize the Synthesis Report (SYR), which integrates the findings from the three Working Group reports that together comprise the Fifth Assessment Report (AR5). 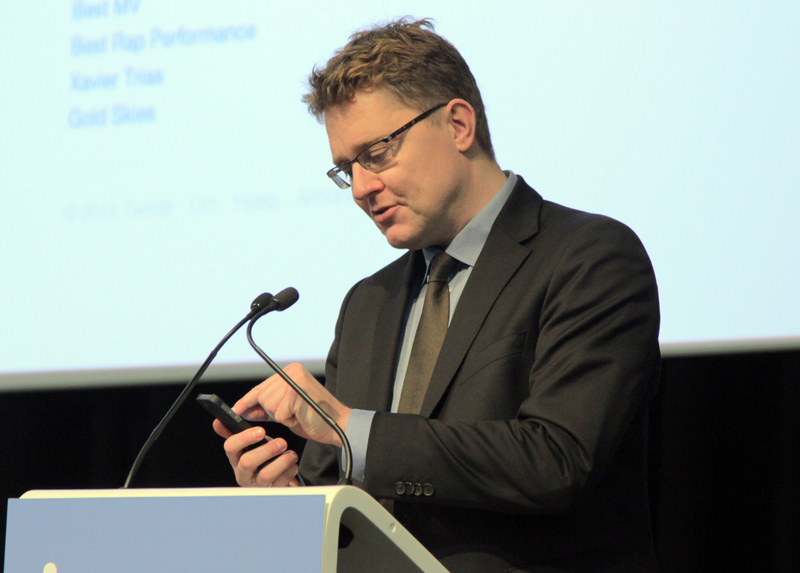 The Panel continued its work on the Summary for Policymakers (SPM), reviewing it line by line. 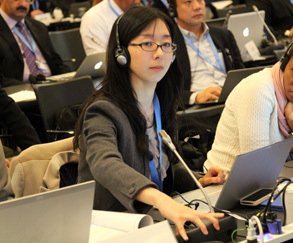 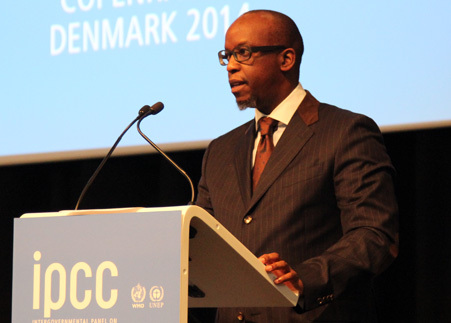 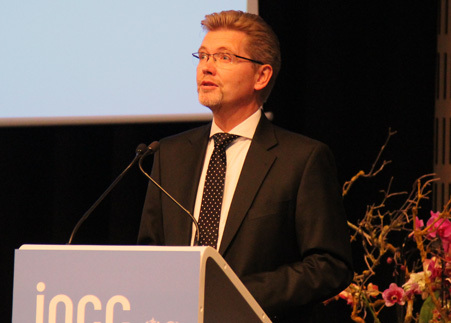 The 40th session of the Intergovernmental Panel on Climate Change (IPCC-40) opened at the Tivoli Conference Center in Copenhagen, Denmark, to consider and finalize the Synthesis Report (SYR), which integrates the findings from the three working group reports that together comprise the Fifth Assessment Report (AR5). 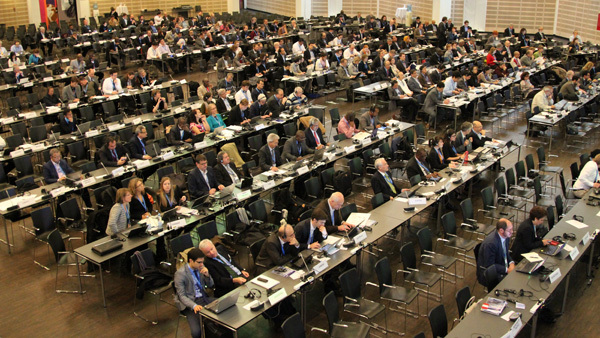 During the session, the Panel is expected to approve, line by line, the Summary for Policymakers (SPM) and adopt the longer SYR section by section. The opening session heard statements by: Rasmus Helveg Petersen, Minister for Climate, Energy and Building, Denmark; Kirsten Brosbøl, Minister for the Environment, Denmark; Frank Jensen, Lord Mayor of Copenhagen; Jeremiah Lengoasa, WMO Deputy Secretary-General; John Christensen, on behalf of UNEP Executive Director Achim Steiner; and, via video, UNFCCC Executive Secretary Christiana Figueres. 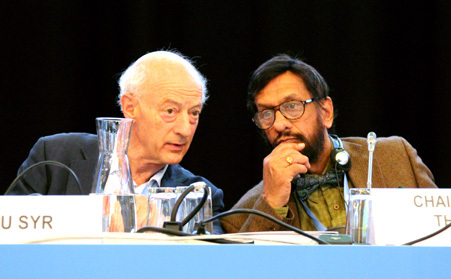 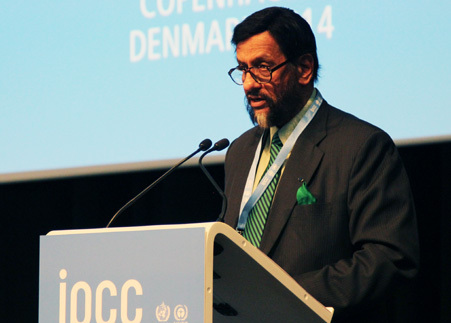 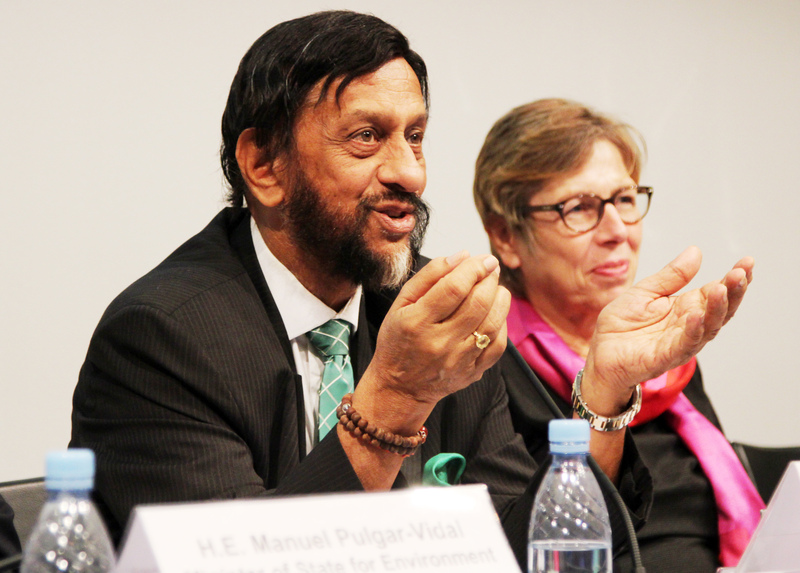 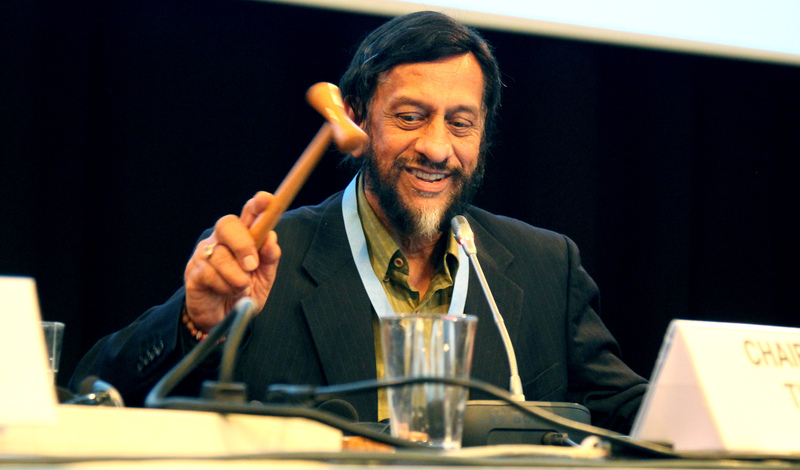 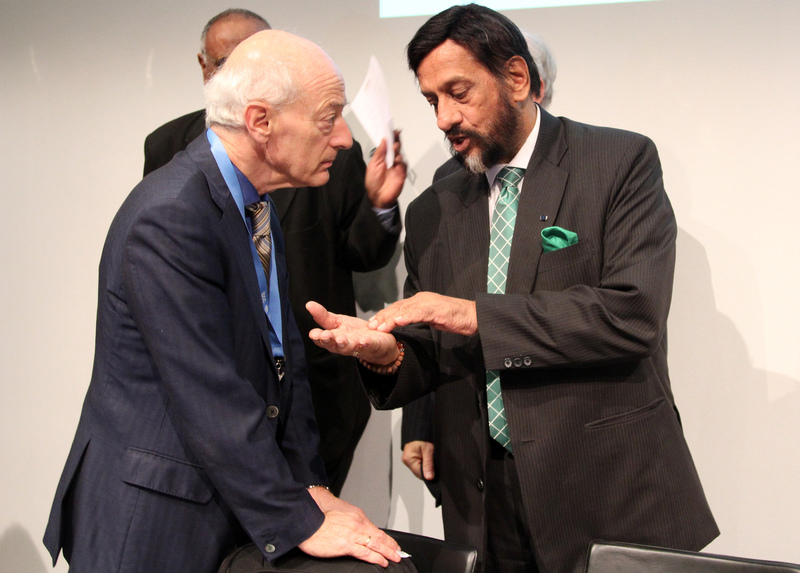 In his opening statement, Chair Rajendra Pachauri asked policymakers to “avoid being overcome by the seeming hopelessness of addressing climate change.” Participants then began to discuss the SPM, addressing the introduction and the section on observed changes and their causes. 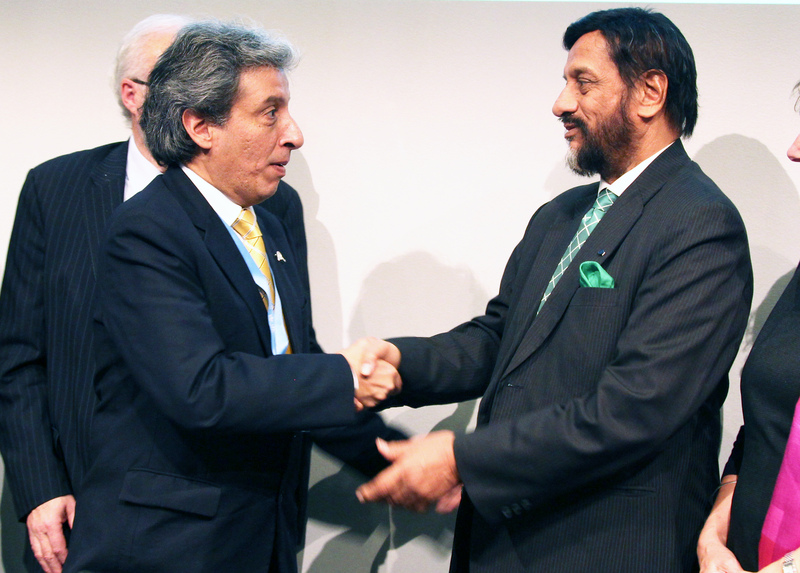 In the evening, a reception was hosted by the Minister for Climate, Energy and Building and the Lord Mayor of Copenhagen.